If you have any questions about the GRACEFUL information page below please contact us. 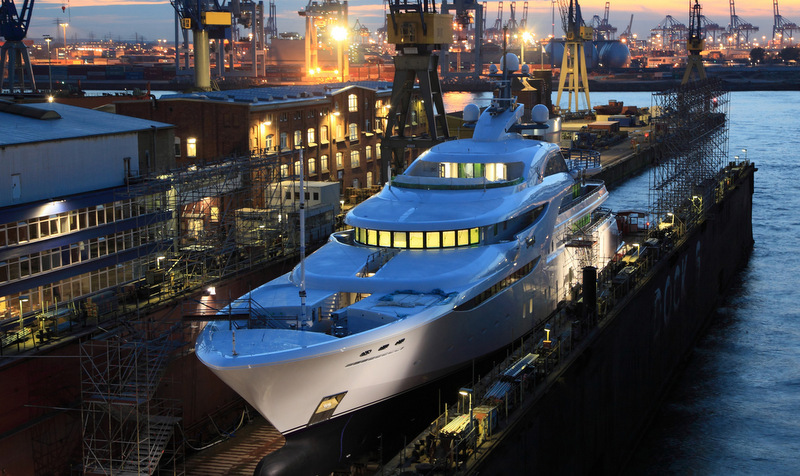 Launched in 2013, the 82m motor yacht Graceful is an exceptional vessel by the prominent German shipyard Blohm and Voss, with interior and exterior design by H2 Yacht Design. 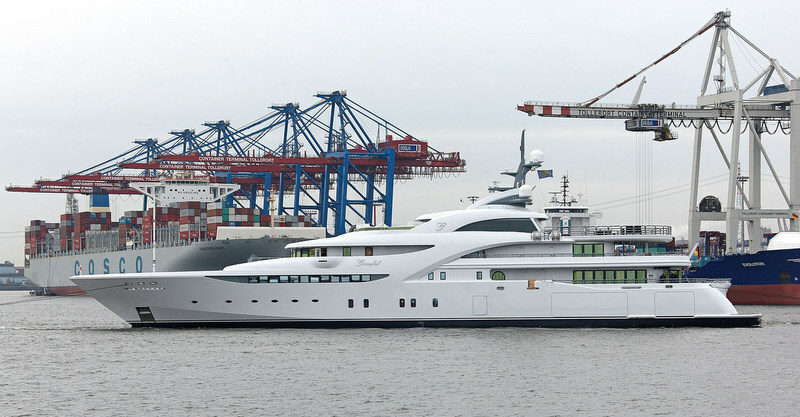 Originally built by Sevmash in Russia, the Project Graceful superyacht was moved to Germany and now boasts modifications, including an addition of a bulbous bow and a part of her superstructure constructed by Blohm + Voss. Superyacht Graceful sleeps 14 guests in total, in 6 spacious cabins, including one Owner's stateroom, two VIPs and three guest cabins. Further accommodation is provided for 24 crew. 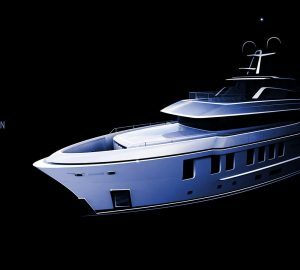 Her elegant exterior and classic interior by H2 Yacht Design include unique features such as an impressive 15m x 3m indoor pool with raising dance floor, as well as a substantial helicopter deck. 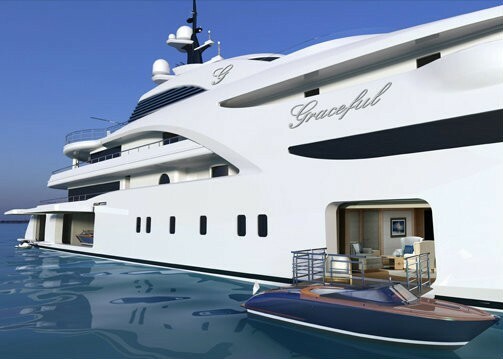 Super yacht Graceful is a twin screw, displacement type yacht with flared bow and a transom stern. The vessel is designed according to LRS SSC rules and is to be built for worldwide cruising in ice-free waters with transatlantic range. Construction is of welded steel hull and aluminium superstructure with watertight bulkheads divisions so as to meet the requirement of the Regulatory Bodies for one compartment status with regard to flooding and damage stability criteria. Project Graceful yacht has a range of 6,000 nautical miles at 12 knots and her estimated maximum speed is 17 knots. 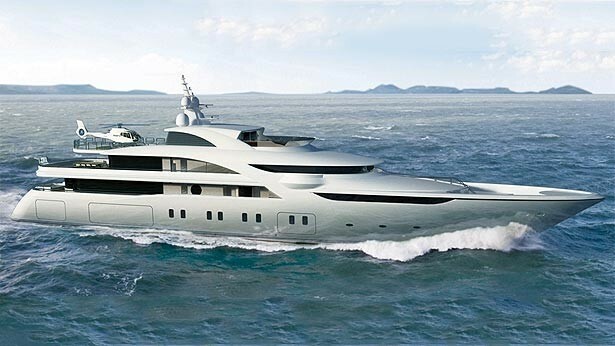 She is powered by twin MTU engines with a propulsion power of 2,300 kW each. 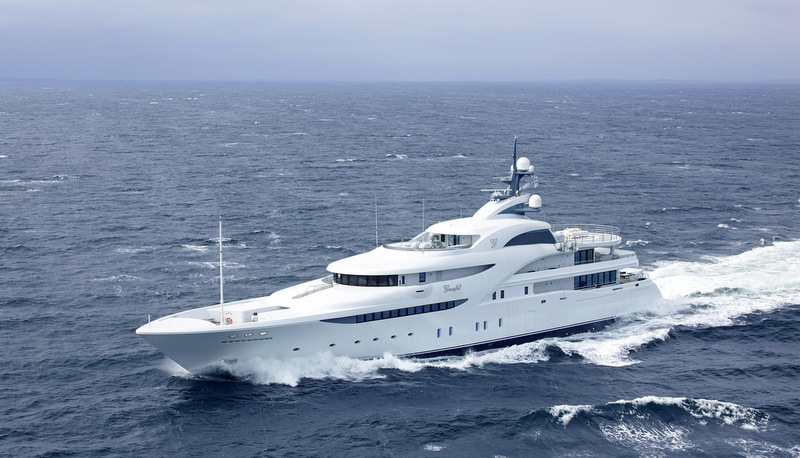 Blohm + Voss luxury yacht Graceful accommodated 14 guests in 6 spacious cabins, including one Owner's cabin, two VIPs and three guest cabins. There is also accommodation for a crew of 23, plus the Captain. We do have available further amenity, owner and price information for the 82m (269') yacht GRACEFUL, so please enquire for more information. The luxury yacht GRACEFUL displayed on this page is merely informational and she is not necessarily available for yacht charter or for sale, nor is she represented or marketed in anyway by CharterWorld. This web page and the superyacht information contained herein is not contractual. All yacht specifications and informations are displayed in good faith but CharterWorld does not warrant or assume any legal liability or responsibility for the current accuracy, completeness, validity, or usefulness of any superyacht information and/or images displayed. All boat information is subject to change without prior notice and may not be current.